Travel-Lusting With Tanner | Miguelito's Little Green Car. We are all connected. Born and raised in Edmonton, Alberta, Tanner is a loyal fan of his city and province. After completing his studies in Power Engineering he worked in the oil and gas sector for a few years before gaining employment in the engineering department of the Oilers Entertainment Group. Tanner is always up for trying new things and loves connecting with others in the community. He is active in Edmonton’s music community as a freelance drummer and member of numerous musical projects. You’ll often find him running with the good folks of the November Project among other fitness groups within the city. My parents showed me how to work my tail off in everything, how to give back, while maintaining close relationships with family and friends. He’s caught the travel bug and is craving adventure so he recently resigned his job and be travelling throughout Nepal, India, Sir Lanka, and southeast Asia for half a year. It’s easy to become comfortable in our little superfluous bubble when living in a first world country, without regard to the reality beyond our borders. I’m travelling to broaden my perspective about the world, and to reinforce the fact that I am blessed to live in a country with endless opportunity, freedom, and security. One of his goals is to have a home that is completely off the grid. He envisions that all electricity, water, and food needs will be harvested from the land. He plans to have an extravagant vegetable and herb garden, grow hens and have a goat named Tina. He does handstands every day. Because being inverted is fun. 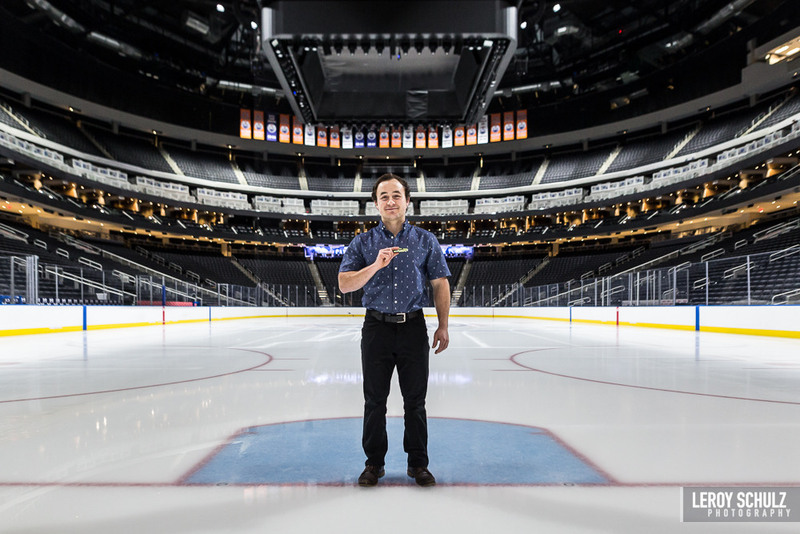 Several times while working at Rogers Place he drove the Zamboni at NHL games. He admits that he has a vast repertoire of the “worst dad puns and jokes imaginable”. He worries about how much worse his sense of humour will be once he becomes a dad. He’s an avid hiker and will be trekking the Annapurna Circuit while in Nepal. You can follow his trek on Instagram at @therealcanadianmountaingoat. After his world travels he’s due for a career change and plans to return to school.